December 2014 was the last month I published an income report. I stopped writing them. I thought nobody wants to read a report that talk about earning pennies. I was not earning so much that I can proudly share or inspire anyone like Mathew Bowdon inspired me once by his income reports. My income is still in few dollars. Not even close to $30. I realized that I needed to do something about it. I can’t run a blog like this. I can’t work on my dreams like this. So, I have made up my mind to post reports but this time it will not be called Online Income Reports. It will be called Progress reports. This time I will not listen to anybody and do what my heart feels right. Whats going on my life? I am passing through the toughest time of my life. I am still jobless. I worked in a company for few days, but left it. I can’t waste my life doing the things I don’t want to do. It has been two years of my unemployment. My parents think that I am a useless guy who don’t want to do anything in life. I have already told them about my passion for my blog. They want to see a son who is earning anything. They feel ashamed when any neighbor asks that why their son is sitting at home. I understand their situation. But even I am having problem getting a job because of this unemployment gap on my resume. I got married in February(2015) and things turned even worse. My sister got divorced a month ago. I have lots of pressure on my head now. Sometimes I feel like doing suicide but I don’t want to die without accomplishing my dreams. I want to see my father feeling proud. I want my mother to trust me. I want my family to be in a better situation. I want to see my nephew growing in front of my eyes. How will I earn an income? Currently I have few options to earn money. I need at least $300 a month when I can proudly declare myself a freelancer. I will be able to tell my parents that their son is earning something. He is not unemployed. He is not wasting his life. He didn’t lost sight of his dreams. Here are the few methods that can help me generate that income. I have more problems than solutions. I am using few of the methods but not earning anything except from those 6-7 dollars. · Selling a book on Game Maker: I have written a book on Game Maker, a year ago. But it has lots of grammar mistakes. Saying “English is not my native language” will not help me. I was earning 25- 30 dollar per month from it. But then YoYo games dropped Game Maker from their list and suddenly those few dollars which were paying my internet bills disappeared. 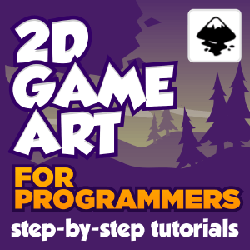 · Affiliate Marketing: I have made only two sales (worth $22) from the review I have done for a game art course. My Amazon affiliate application is rejected after earning $2. They told me that my site need more content. · Donations: I set up a donation page months ago. But I never received anything. I can’t blame anybody. Because I don’t deserve it. I promised my readers to share a free game assets pack every month. I failed. I am still trying to keep up but I have lots of problems and pressure now. · Fiverr: I have decided to provide some services on Fiverr. It is one of the largest marketplace to get some small work done. You can hire people for large projects too. I have created a gig but never got any request. Few days ago, I got a custom work request where I have to place some quotes on t-shirts. I completed it and earned $15 with a $10 tip for fast delivery. Thanks to the buyer. · Patreon: I was thinking to create a Patreon page to run this website. But I don’t think I can provide game assets according to the schedule. It would be cheating if I am not be able to provide the art packs on time so I am avoiding it. · Client Work: I can also earn money by finding clients to do artwork for their games. But when god provides me a way another problem persists. I can’t animate sprites. I can create static images. Mostly every game need animation. I can’t go further without learning to animate. I have worked with three clients who don’t need animation for their games. Two of them was hobby programmers. One was unpaid work that I did for helping him. Second paid me few dollars. The third one was a serious job and I put my 100 percent in that job. He has just published his game on Google play and already crossed 1000+ downloads. You can checkout that game here. My father always taught me that every problem have a solution. I believe in that saying too. So I created a blueprint to overcome all the obstacles. Few of them are long-term goals. I just have to work hard. · Problem no 1: I started working on my Game Maker book again. I am updating it for GameMaker: Studio. I will be adding some more stuff, cleaning up my mistakes and will also be hiring a proofreader for it. I have already updated four chapters. It will take some time. If I got a temporary job then the progress will be more slow. · Problem no 2: About affiliate marketing, from the last Udemy sale I bought some courses on game art and Photoshop. I will be reviewing them soon. I am also learning to writer better content for my website. · Problem no 3: I can’t do anything about donations. Its up to users. I will be focusing on providing more quality artwork for free. I just hope I overcome my creative block soon. If you have some ideas or suggestion about sprite packs then mail me at sujit1717@gmail.com. I also need a professional e-mail account too. · Problem no 4: I will be creating some more gigs for exposure. I can do task related to designing and Photoshop like banner design, photo retouching or icon design. If you need any work then mail me. · Problem no 5: Patreon is not my priority for now. I am avoiding it untill I can keep my promise of sharing free sprites every month. I may look into it in the future. But I don’t think anybody (except some) is willing to pay for things they can get for free. · Problem no 6: I will be learning to create better artwork and yes animating them. 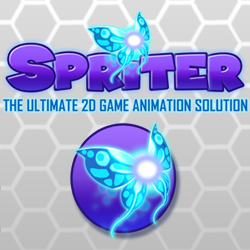 I won a Spriter license in January 2015. It looks very promising and will be learning it. I don’t know how much time it will take. But nothing good is easy. Sounds too much to do. But I have only two options left, Do or Die. I will be creating a schedule. Without it, it will be hard to be on track. Till now I was talking about my problems, I forgot to share some good news. 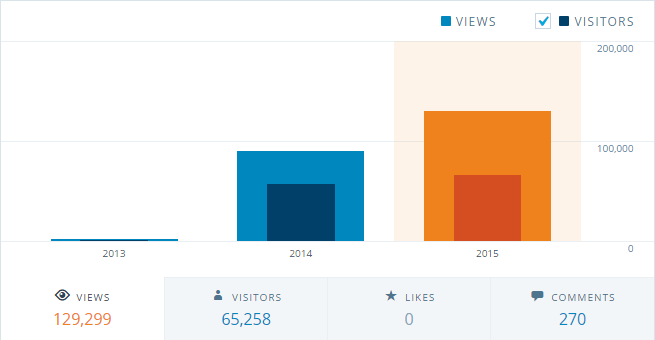 Last year I was lost by around 11000 views to complete 100000 views on my website. But this time I achieved this milestone in just six months. I am seriously feeling proud. I want to thank all of you guys. I will be setting my eyes on achieve 200000 views this year. I will be providing you some great stuff this year. That’s a secret J.
Oh, this is the longest post I have ever written. I hope I will be able to achieve my goals. I hope you all achieve your goals. Sorry if this post have some grammar mistakes. If you found any, please post them in the comments so that I can learn from them. I wish my readers to have faith in miracles. Don’t lose hope. By hard work we can do anything. Keep motivating yourself and others. If you have any success or failure stories then do share in the comments section. I would love to hear them. First of all thanks for your free packs! You could read http://gamedevelopment.tutsplus.com/articles/how-to-fund-your-games-by-creating-and-selling-game-assets–cms-24380 if not read already. I will surely read this article. 🙂 Thanks for your motivation. do your best,you will got what you want. I will be working hard for sure. Thanks a lot buddy. Dark stuff mate. Don’t give up on your dreams so easily and DON’T think about suicide. It seems like the easy way out but it’s not. It is more trouble than an escape. You will reach your goals. Just believe in them more! Thanks Raj. I will be working on the art packs for sure. New stuff coming soon. First of all, be proud of yourself for getting the OPPORTUNITY and in accomplishing all the things you’ve managed to achieve. Consider yourself lucky to be able to do all this things. I’ve also been through the emotions you’ve mentioned above. Once the incoming cash flow becomes low, its a bit hard to feel satisfied (due to many psychological and sociological factors or our outlooks). Don’t push yourself too hard. I think your’e trying to accomplish many things at once and not getting anywhere looking at the piled up todo-list. I’ve also had that problem of trying to do many games/things at once and not completing any. Narrow down your list. Cut it down. Don’t forget the fact that you’re a single indie. Prioritize your tasks. Cut down works, Say no to cheap freelance works that will take away your precious time. Try to balance this with your family life (by sacrificing some of your in-front-of-computer time 😉 ). Spend time with them. Don’t be discouraged by the comments of your parents, society, friends etc. Someday they will understand. Be friendly to them, if possible, try to tell them in a calm way about your work and your dreams. Maybe someday they will understand, I hope. I believe that a depressed mind can always affect our work, turning our output into mediocre stuffs and it shows in the final work too. Cheer up. Help yourself. Thanks a lot for your advice Killu. Focusing on many things at once is the main problem. I always try to fix it but as time passes, life brings me on the same track. I really want to thank you for taking time to write a detailed comment. I am happy by the positive responses I have got. Best of luck to you too buddy. DoN’T EVEN THINK ABOUT SUICIDE! else than that i think you’re on the right track, you should be able to reach your 300$ income with this path.And congrats on the almost 130.000 Views! 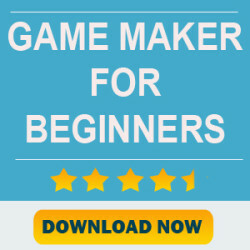 PS: ever thought about creating an udemy course about GameMaker? Thanks for the advice. Currently I am updating my Game Maker book for GM: Studio. 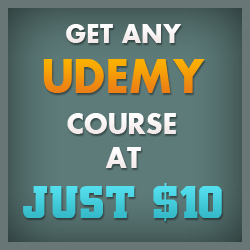 I will surely look into that Udemy thing. Hi sujit, Great post, I agree with you on so many levels. the equation is simple, yet so hard to grasp at first: you can’t earn anything if you don’t give away something. Focus on providing value in bigger quantities and better quality and the results will come. Good luck in your journey! Thanks a lot Zouhair. I really appreciate your help and suggestions.